With subtle curves, clean lines, and a supportive frame all accented by soft leather, the Chelsea Bed by Modloft creates a peaceful environment in your contemporary bedroom while contributing to the room's sophisticated design. The modern platform bed is defined by its meticulously tailored headboard brought to life with a middle seam and crisp, clean side folds, but it's the frame's supportive wooden slats that give the bed its substance. 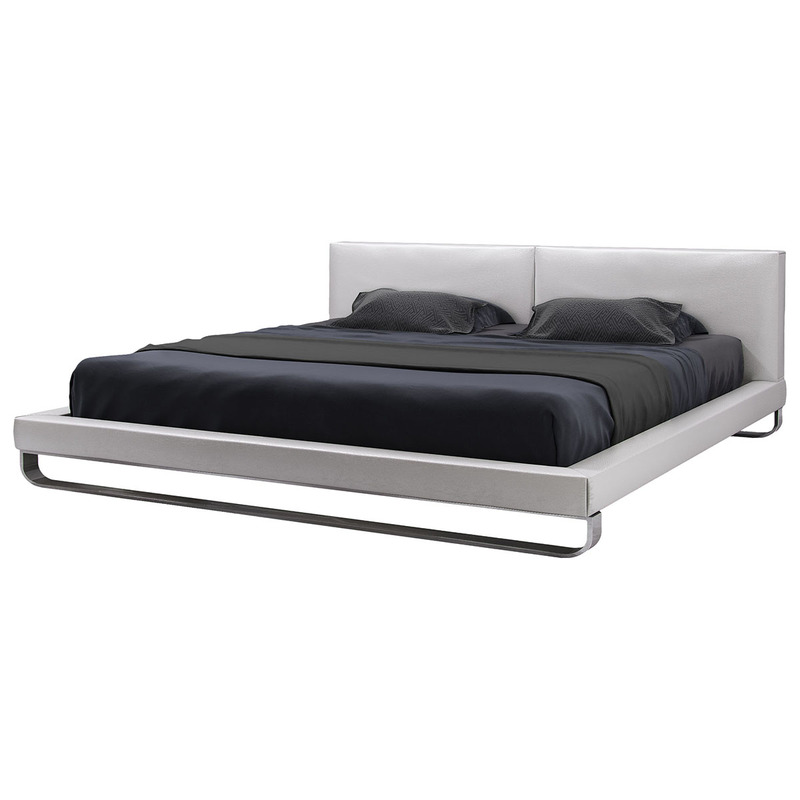 The headboard and frame are wrapped in luxurious, Eco-friendly leather and supported by a rounded polished steel base that maintains the bed's fresh simplicity. 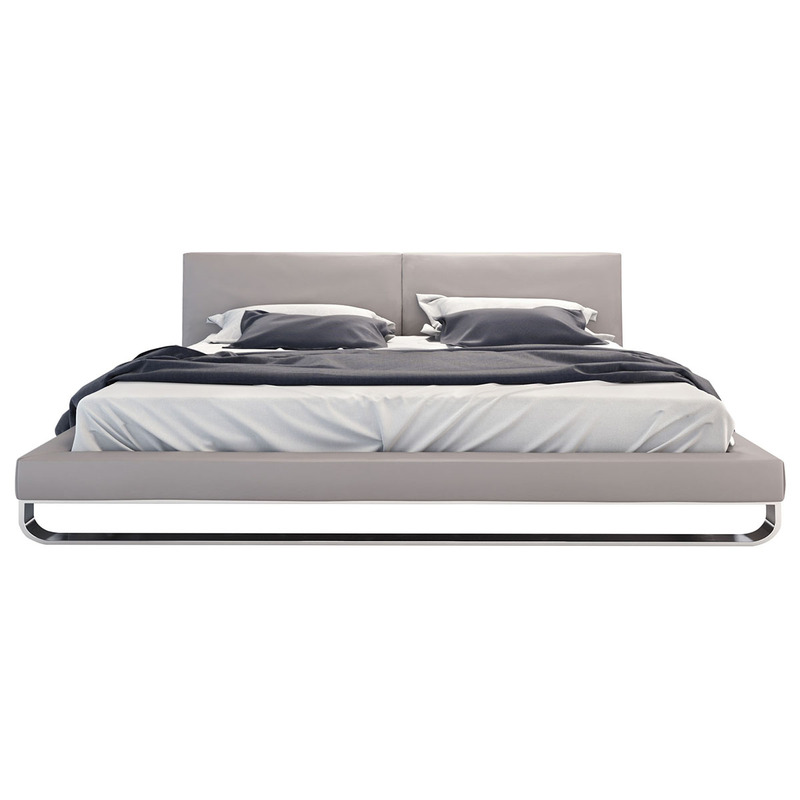 Available in your choice of size and color, the Chelsea Bed brings peace of body and mind while flowing seamlessly into your bedroom's contemporary design scheme. 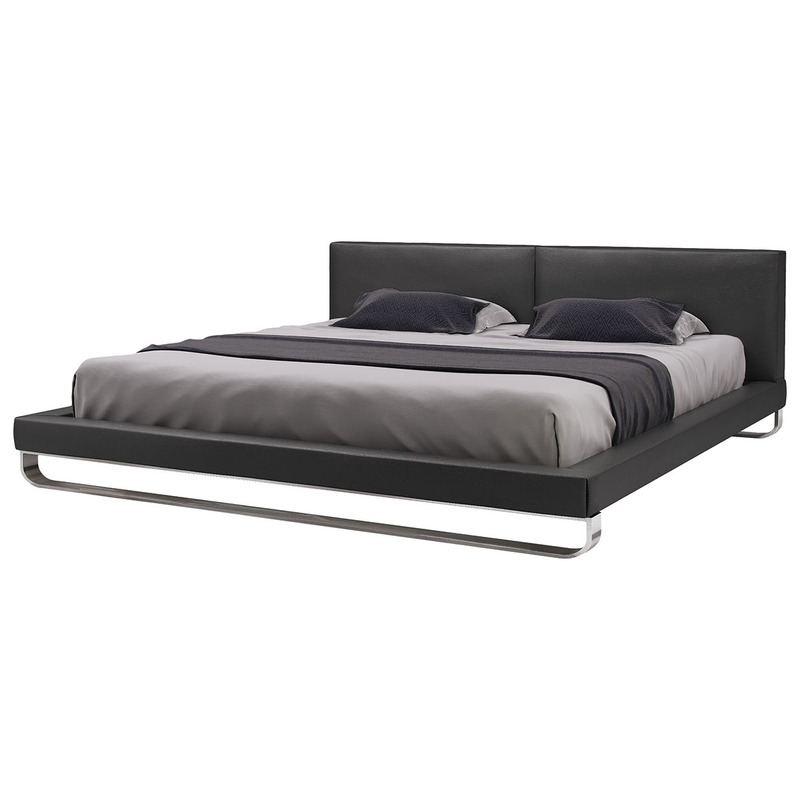 Bed looks elegant and is well designed. I requested a specific delivery date and Inmod kindly obliged. The bed arrived and was swiftly assembled by their team - I would recommend this option. Inmod gets five stars and I will be using them again. How high is the platform? The Platform Height is 10", and the Mattress sits 2" inside the platform. 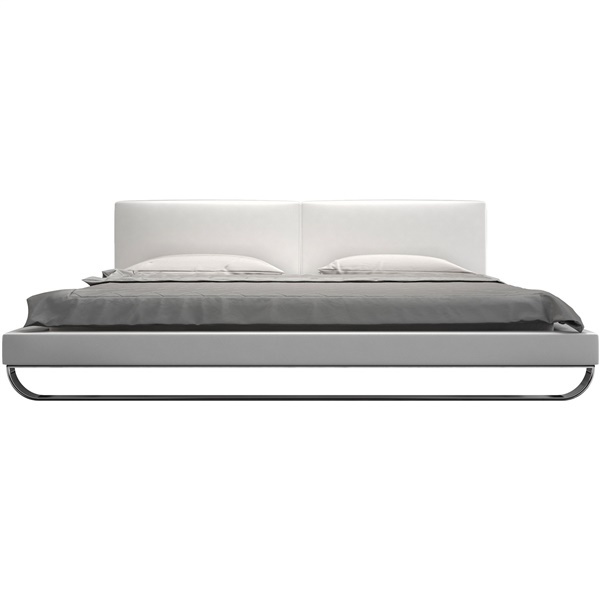 Is there a recommended mattress height? Is there more underneath support in the middle of the bed or just around the perimeter as shown? This Bed is made with a slat system. The mattress would rest on top of the platform/slat system. There are no requirements/restrictions for mattress heights so using a standard size is fine. The ledge around the Chelsea Bed is 4.75" wide.